Criticising austerity policy seems to be turning more and more into an excuse for failing governments. Or at least this conclusion is possible from the report of the IMF from their mission in Poland. The conclusions of the mission are that the Polish economy grew by the solid 4.25% in 2011, despite the significant decline in public spending. It is expected the real gross domestic product of the country to become modest and stop at 2.5% this year due to weakened both external and domestic demand. A reason for the country's good performance is that the banking system remained profitable, well capitalised and liquid. Crediting has been growing with healthy pace, although there are already signals for tightening of lending conditions. In the last 3 years Poland proved to be the tiger of the EU since it has succeeded to remain in the shelter from the 2008 crisis and still manages to protect itself from the "infection" of the eurozone problems. However, this does not mean that Poland is insured against the risks from that region, the experts of the Fund point out. They warn that, although Poland is less affected than other countries from the eurozone crisis, a deep recession or deepening of the crisis could have severe impact on the Polish economy. "Trade and financial linkages with Europe are significant: nearly 60 percent of Poland’s exports are to core euro area countries and Poland is heavily integrated into the German manufacturing supply chain", says Julie Kozack, IMF mission chief for Poland. In 2010, the euro area accounted for over 75 percent of Poland’s foreign direct investment liabilities. The business sector relies heavily on lending from parent firms and about 60 percent of the banking system is owned by European banks. This is the reason why Poland is so active at the European level in the efforts to rescue the eurozone and most of all in the efforts to prevent the eurozone from separating from the EU of 27 and to isolate itself as a community with its own speed and goals, distancing itself more and more from the rest, quite heterogeneous EU member states. Therefore, quite remarkable are the efforts of the Polish government, led for a second term by Donald Tusk, a centre-right politician, on the EU stage. Alas, these efforts, no matter that Poland is a big country, find it hard to deliver because the country still is incapable to commensurate with the big economic powers in the EU, although some of them suffer from severe hardships like Italy and Spain. At the moment Poland is chairing the Višegrad Four - a group created by four Central European states - Poland, the Czech Republic, Slovakia and Hungary - with history dating hundreds of years back. In spite its long history (over 600 years), the V4 is still incapable of consolidating to start resembling at least a bit to groupings like Benelux for example. This is why, at the meeting of the foreign ministers of the group in Budapest last week, Polish Foreign Minister Radoslaw Sikorski made a strong appeal for unity among the four countries. An appeal that deserves special attention. According to the Polish foreign minister, in the mid-1990s the collective GDP of V4 was $260 billion. At the moment it is four times bigger - a trillion dollars. 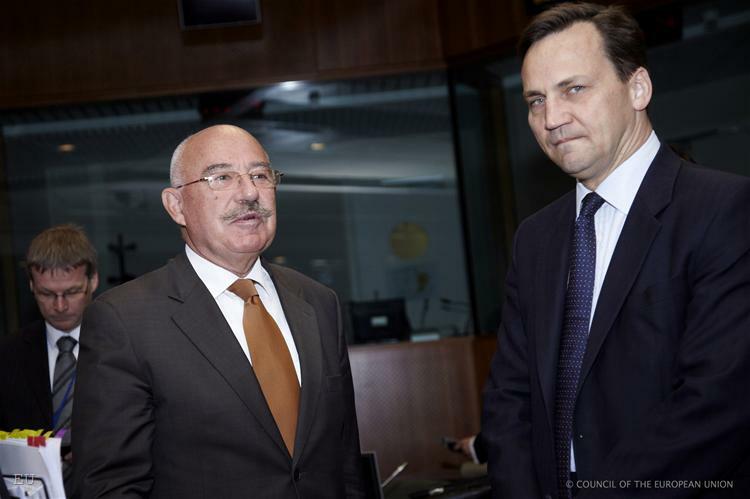 Bigger even than the Turkish GDP, Mr Sikorski notes. Germany's trade with the V4 is bigger than trade with its largest trading partner - France - and almost three times bigger than that with Russia. "If we were one country we would be well within the top twenty economic powers on the planet, as V4 we would move to 15th rank in terms of purchasing power parity. Ahead of Indonesia, Turkey, Iran, Australia and Taiwan". Moreover, Sikorski goes on in his speech, "we have learned the hard way that governments have to live within their means. This is not ‘austerity’ – it’s being intelligent and responsible. The US government debt is about 103% of GDP. Euro area average gross government debt as of 2011 was 87%. The V4 average was 55%". Poland believes that Central European energy is very much needed - not only in order to find solutions to economic crisis in Europe, but also to develop the EU as such, the UN and other international institutions. Reasons for such a belief, in the words of Sikorski, is that Central Europe is the place where the best ideas and the worst fears and boldest ambitions are born. "Our destiny is to represent the worst and best of Europe". Soviet occupation of Central Europe is an unprecedented disaster which, however, unleashes unique intellectual and moral potential. 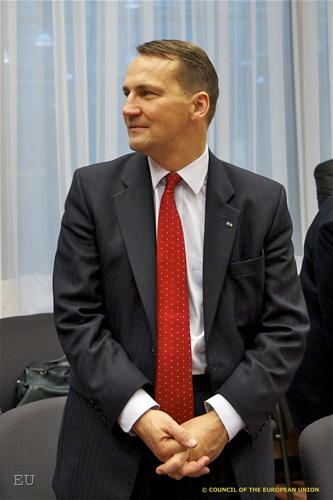 Poland's desire is the V4 to consolidate at the European level and to fight for its interests, which in Sikorski's words, are: ensuring political support for the North-South gas transport corridor; tackling the political problems the technology for shale gas creates; cooperation within the V4 in the area of nuclear energy; coordination of V4 positions on the Eastern Partnership (the popular zone of near abroad, as is the Russian perspective, which however is a European abroad as well), with a focus on Ukraine and most of all Belarus, where "our friends are still battling against stupidity and repression much as we all did thirty years ago". Poland's biggest priority, though, is hammering a common, detailed position of the V4 for the negotiations on the next EU budget framework for the period 2014-2020, especially with regard to the role of the cohesion funds in it. 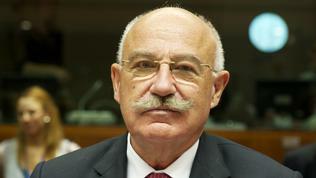 "We are not coming to the negotiating table as supplicants, hoping for the munificence of richer partners", the Polish foreign minster states, whose country is a champion in EU funds absorption, considered to be a major reason for Poland to keep its economy growing in spite of the economic storms around it. Sikorski talks in detail in his speech about the plans for development of the EU and the eurozone in particular, saying that "surprising for some, we in Poland favour more ‘Community method’ and less intergovernmentalism. More Delors, less De Gaulle". This means, Warsaw's top diplomat explains, that the country is ready to share its "historic responsibility" of negotiating a new, more cohesive community-based institutional framework that takes decisions on behalf of all in a transparent, coherent and rules-based way. The Banking and Fiscal union, which are being debated right now, "will serve as litmus paper showing how far the EU is ready to move forward". 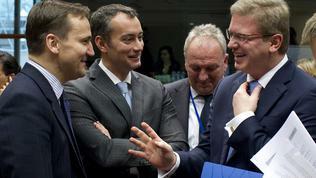 Poland thinks, however, that the Commission is not sufficient as an executive body in itself. A more direct democracy is needed at the European level. 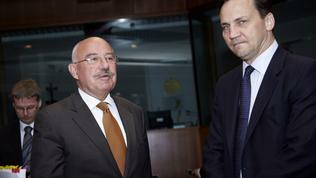 But he underlines something very important, which is being understood in various ways in the various zones of the EU. "Now, you all know that no Polish politician’s speech can ever take place without a strong word on solidarity! But it doesn’t mean transfers from rich to poor! It means capacity for reciprocal sacrifices". In this sense, Poland proposes the V4 to endorse as its cause that it is not fair some member states to be subsidised, directly or indirectly, without proper discipline and budgetary control. "The other side of Solidarity is Responsibility". Warsaw realises very well its pluses and minuses, which the Polish foreign minister elaborates on in his speech. According to him, there are fears among the other V4 members from Poland's size and that it might try and take advantage of its power. Poland's population and GDP are bigger than Hungary's, the Czech Republic's and Slovakia's combined, he says. According to the current voting rules, as enshrined in the Nice Treaty, Poland has 27 votes, while the other three countries have jointly 31 votes. "In these circumstances - and bearing in mind plenty of history – it is only natural that the three other members of the group are wary of Poland". But Poland as well is cautious with its V4 partners, because: Slovakia is a member of the euro area and there is a risk that it might want, quite naturally, or to be forced to support its eurozone partners instead of those outside the euro. 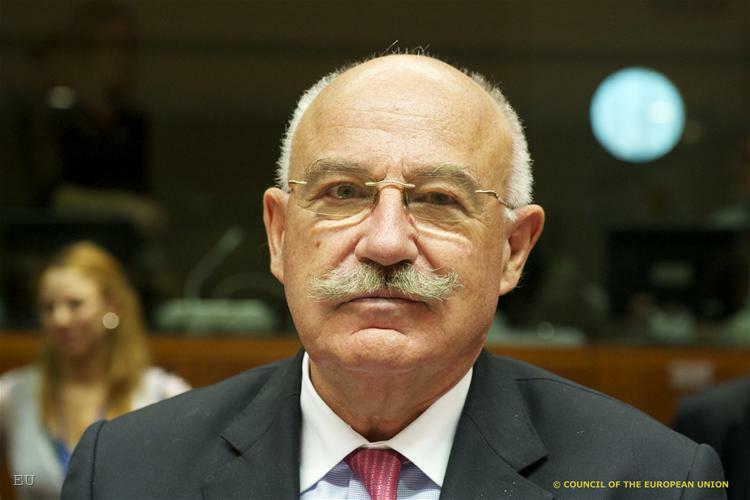 Warsaw is much more inclined toward deepening of European institutions than Prague, for instance, which under the leadership of President Vaclav Klaus, refrains from further integration. And Hungary has issues with Brussels. 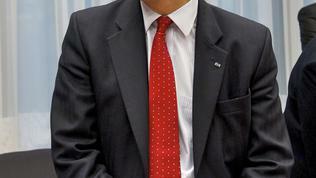 Nonetheless, the future of the V4 is in its closer cooperation, the Polish foreign ministers thinks. "It is a brand worth developing, the more so as the Nordics and Benelux are already established groupings. Our brand is far bigger. It represents 65 million Europeans". And regarding voting rights, the V4 countries have bigger power than France's and Germany's combined (58 votes). Moreover, if the V4 combines during a vote with the Baltic states it will have totally 73 votes. And if they are joined by Bulgaria and Romania, the votes will be 97, Radek Sikorski calculates. "We don’t do defeatism. We don’t do sliding back. We do growth. By standing together we represent a shared powerful brand – we represent millions of Europeans who have not given up on Europe, who are determined to make Europe a success", concludes his speech the Polish foreign minister. But to what extent will his words reach their targets in Prague, Bratislava and Budapest is a question which is difficult to answer, especially at a time when there is a trend of disintegration at the EU level, rather then more integration. But Poland's efforts are worth praising, although there is a danger they can be undermined by short-sighted politicians in the partner countries. 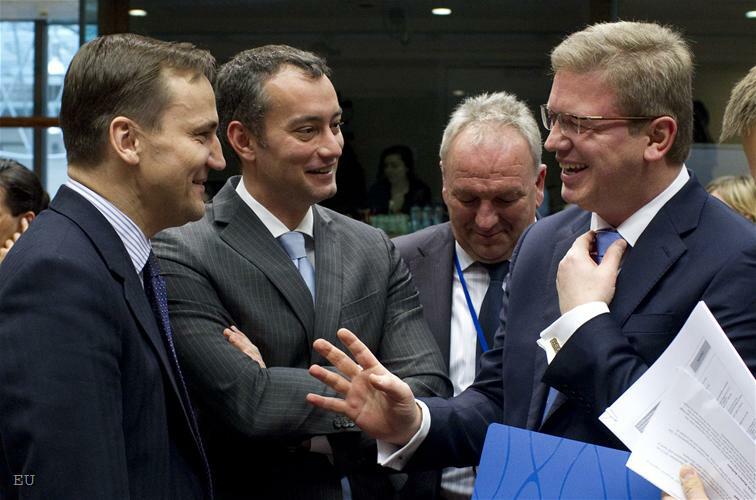 Radek Sikorski mentioned Bulgaria and Romania as potential partners in sharing votes at EU stage, but could they be relied upon, as we recently wrote on this website? Bulgaria at the moment is governed by a prime minister who never ceases to claim that Bulgaria is always with the German position, whatever this might mean. And yet it will be a pity if Poland is left alone - not for Poland itself but for all this it sees as a common future of the V4 and Eastern Europe in general - a new, young, European power, which tried the toughest and drew lessons from it. A power that has the potential to keep Europe intact. Or not?